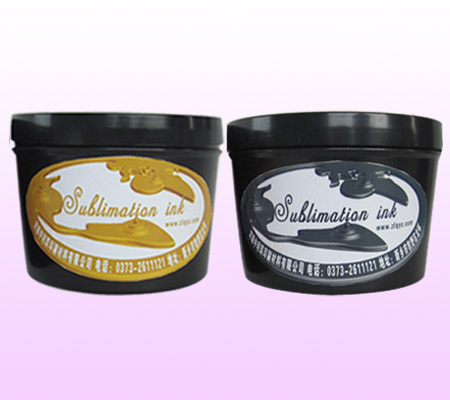 The offset sublimation ink made in our company owns good fluency, high rate of metastasis and bright color stability.Our ink passed SGS testing and reached the international quality certification.The quality is good and printing precision is high,vivid color,fine design,rich color,and strong color fastness. Use Scopes:Apply to single-color,two-color and multi-color offset printing machine which supply single paper once. Available paper is chrome paper,coated paper,offset paper,and cardboard.Transferred materials can be fabric,cotton,mug,metal,wood,ceramic and etc.Fabric can be transferred directly,other materials need sublimation coating. Product characteristics:1.be able to adapt to high-speed printing needs;2.under normal circumstances to maintain the printing press ink fountain 36 hours not conjunctiva. Printing performance:excellent ink-water balance,dot reproduction clear,complete solid fast,good stability on the machine.Use:under normal printing conditions,directly on the machine to use.